Every month we will bring you Cheese news from Foxholes Farm with some special Cheeses from our deli counter, offering advice, special offers and tastings to all our customers.. 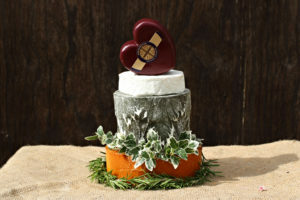 This month brings us different flavours suitable for entertaining and buffets. 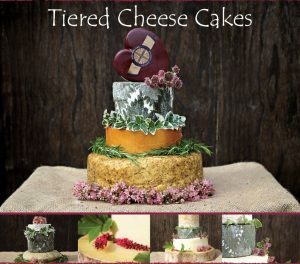 We offer an impressive selection of multi-tiered cheese cakes for weddings or any special occasion. 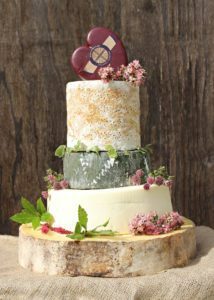 Layers of delicious premium quality artisan cheese from Cornish yarg, to Somerset brie, creamy Stilton’s to traditional cheddars. We also have a good range of ‘off the peg’ cakes in various sizes so the choice is yours, prices start from just £20.00 for three tiers. 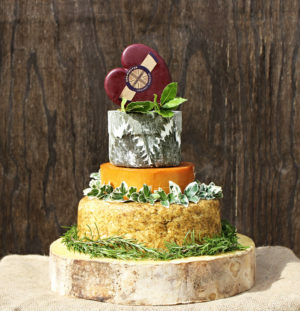 Make your occasion extra special and impress your guests by creating your very own cheese cake and make it the centre of attention on any table or celebration buffet. Please contact our farm shop 01992 552900 shop@foxolesfarm.com for your bespoke tiered cheese cake requirements.